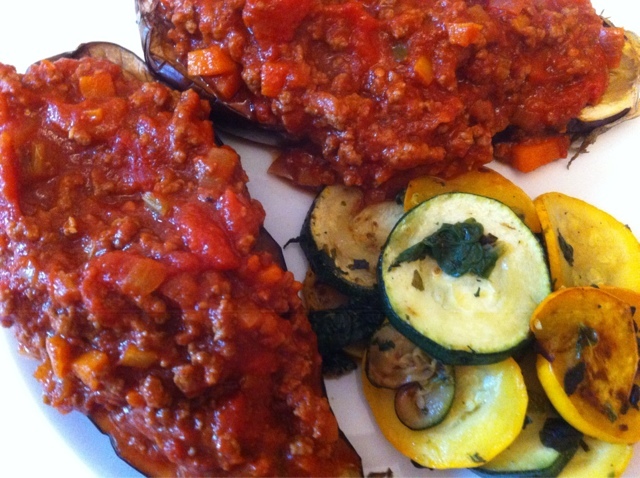 An old recipe of mine but still a firm favourite with my family - bolognaise stuffed aubergines, serve them up with a side of grilled garlic, parsley and lemon courgette slices and you're onto a winner! This recipe isn't a tricky one, hence no ingredients list. 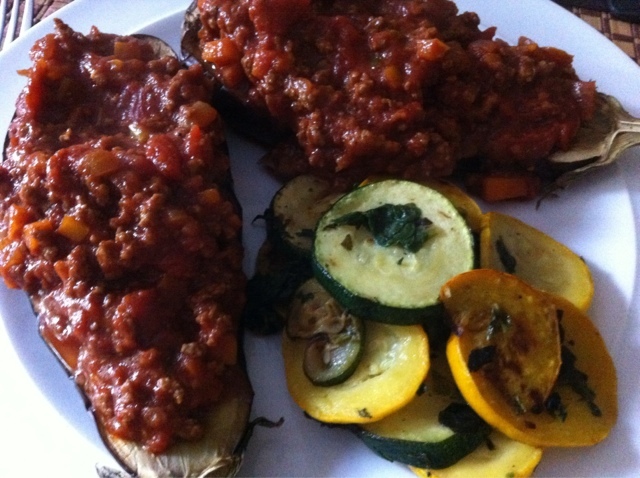 All you need is one aubergine per person, a pack of mince (any leftovers can be eaten the next day or frozen), an onion, a courgette per person, carrot, parsley, lemon juice, garlic, tomato puree, celery (if you like it), chilli flakes, salt and pepper, a tin of chopped tomatoes), EVOO. 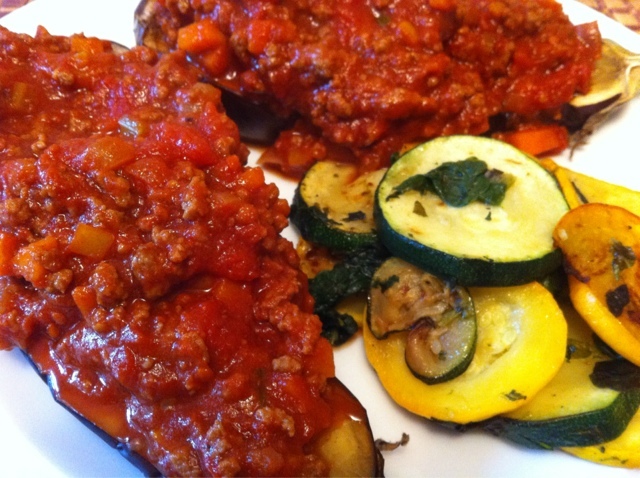 First things first, preheat your oven to about 180 (fan), slice your aubergine (or aubergines if you're serving is for more than one) in half. Pop on a baking tray, drizzle with a little bit of EVOO, crunch some salt and pepper over and bang them in the oven. Let them have 10 or 15 minutes in there to soften! While your aubergines in baking; dice your onions, throw them in first on a low heat for around 5 minutes until they've softened before adding the diced carrot and celery. Leave them on a low heat, occasionally stirring around a little until softened. 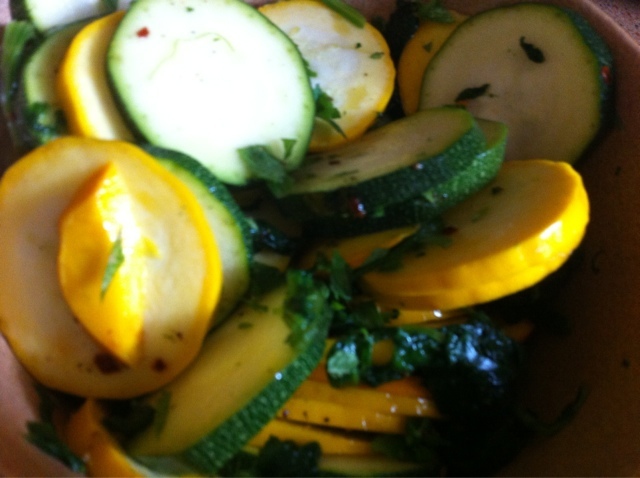 After slicing your courgettes, throw them in a bowl with crushed garlic, chopped parsley and squeeze a little lemon juice in. After mixing it all together the flavour when cooked will definitely tickle your taste buds. 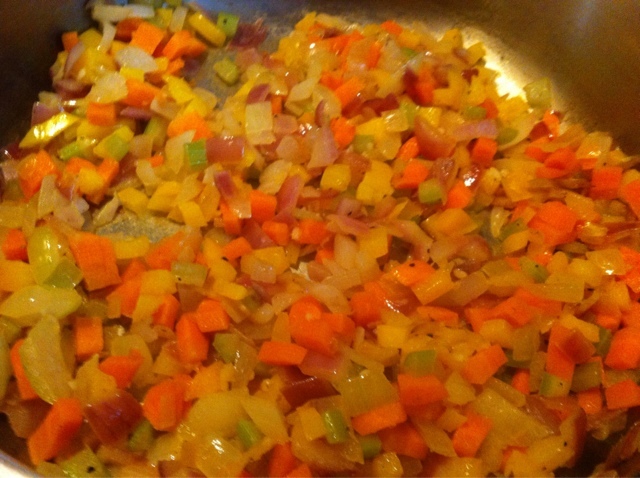 Now your onions, carrots and celery will have softened, throw in the mince. Make sure you separate it so there are no lumpy bits. Add your tin of chopped tomatoes, a tablespoon of puree and mix. Add two or three crushed garlic cloves, a pinch of chilli flakes, salt and pepper and Italian herbs. Leave the tomato sauce to thicken before serving - I'd say allow it to simmer for 10-15 minutes so it can reduce. Now - Plate it up!